The party favor table in the entry hall. 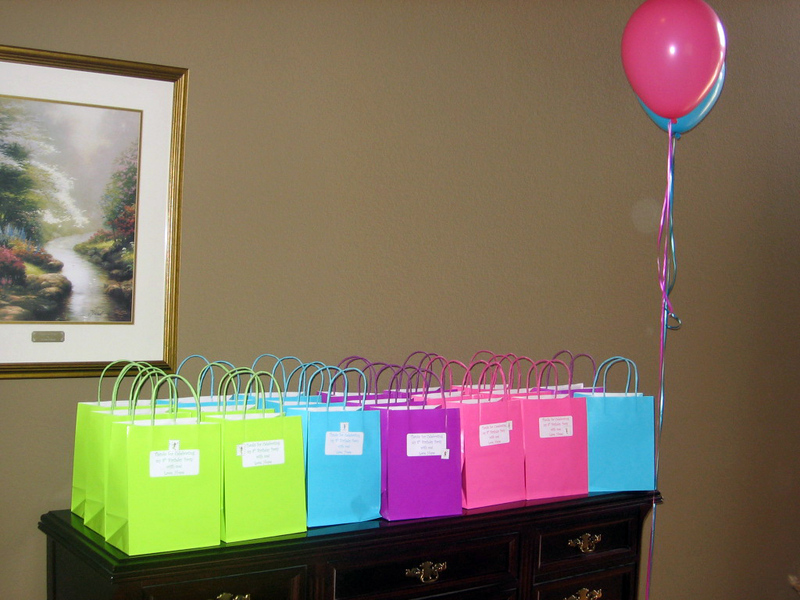 These cute little goody bags were filled with magical fairy and rainbow themed items. Many I selected from Oriental Trading–a great place for party favor items! 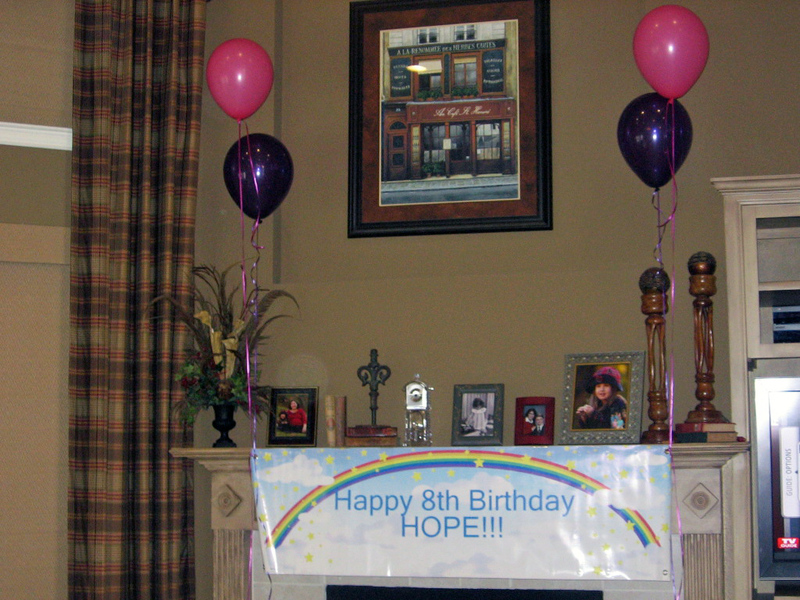 Hope’s mom (Carol) had this banner printed up and I tied some balloons on either side. This is in their living room and we had Hope sit in a chair here, in front of the banner, to open all of her cute gifts while her guests chowed down on cake and ice cream. 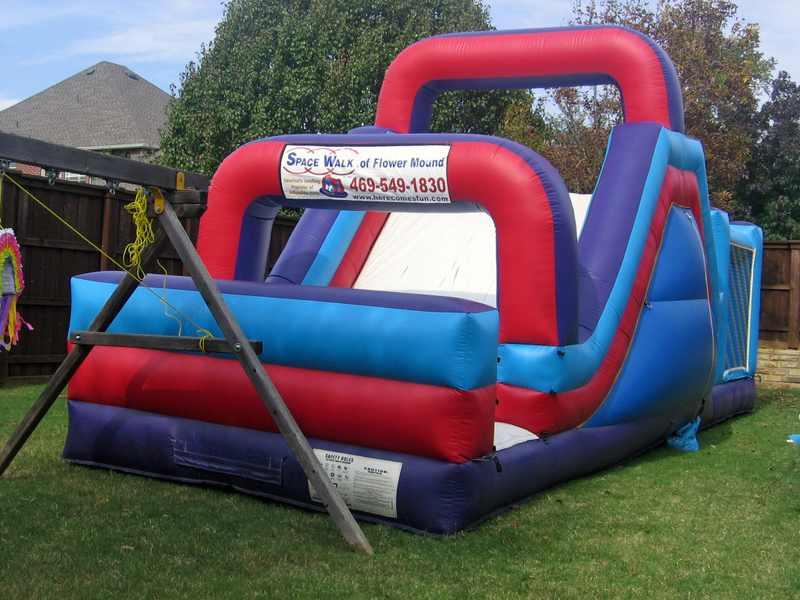 This was the amazing inflatable I rented: part bounce house, part rock climbing wall and part giant slide–how can that NOT be fun?!? 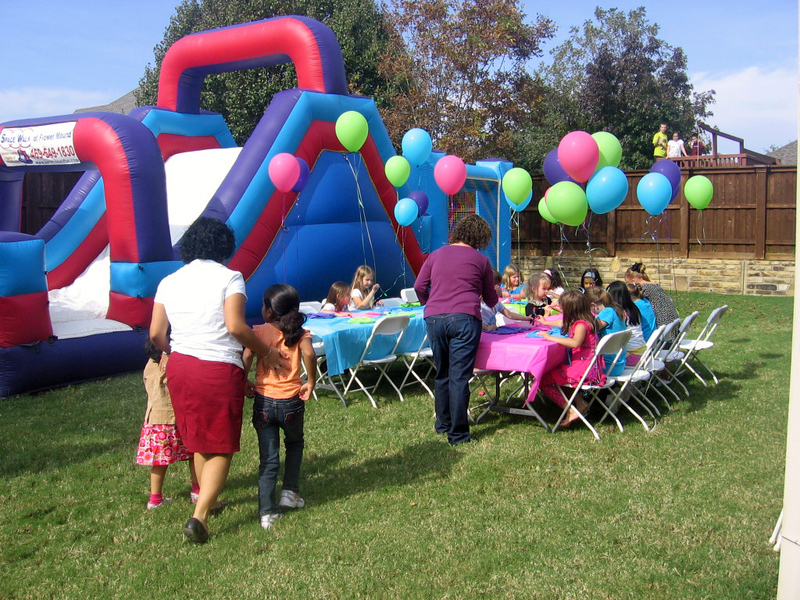 Side note: It is really BIG so make sure you have a really large back yard or plenty of room at your function! I rented 3, 8 ft. long banquet tables and white plastic “wedding” chairs for the seating. 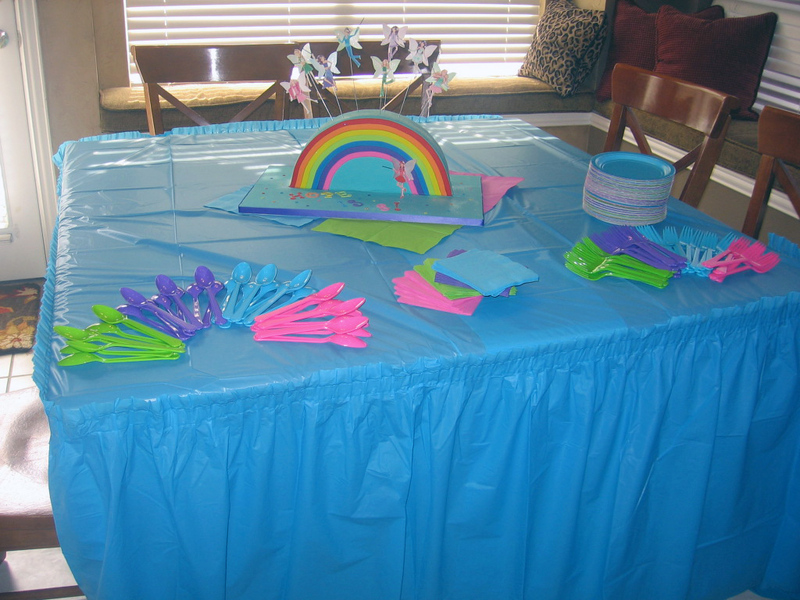 We set the tables in a “U” shape–we had a lime green table, hot pink table and bright blue table. The fourth “party color” table cloth (purple) was used on the food table which was set up closer to the house on the patio. 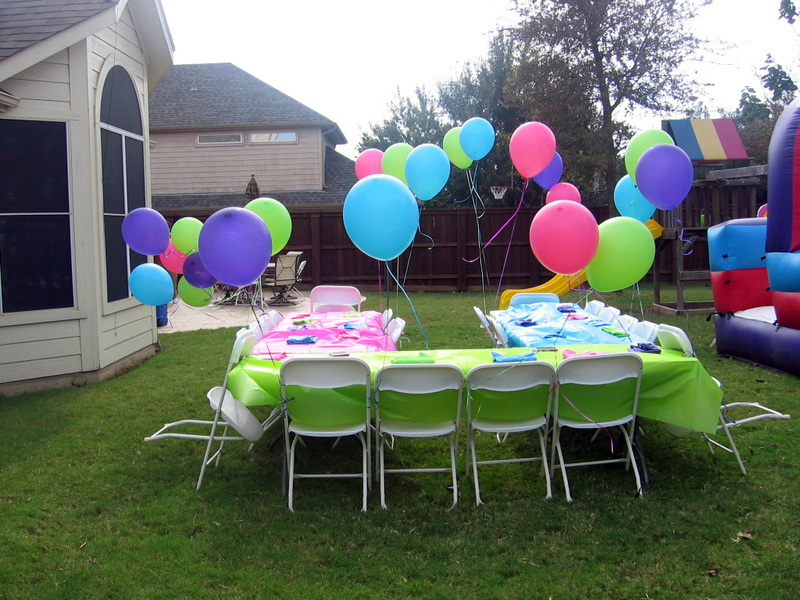 This photo also shows the helium balloons in those 4 colors–we tied one to each chair except for the B-day girl’s chair and she got all 4 colors of balloons tied to her chair! 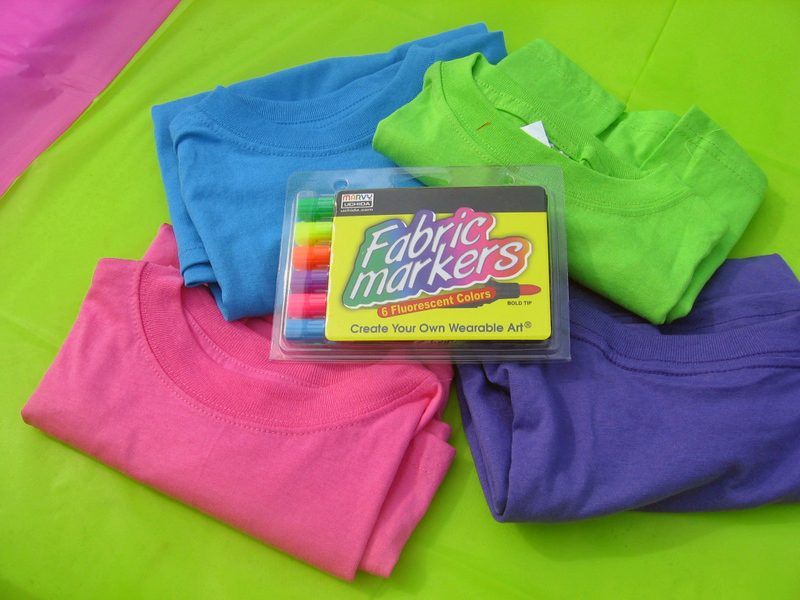 Each girl received a T-shirt (all 4 colors seen here) and fabric markers to decorate their shirt. The color of their shirt also put them in their team for the scavenger hunt that took place after lunch! 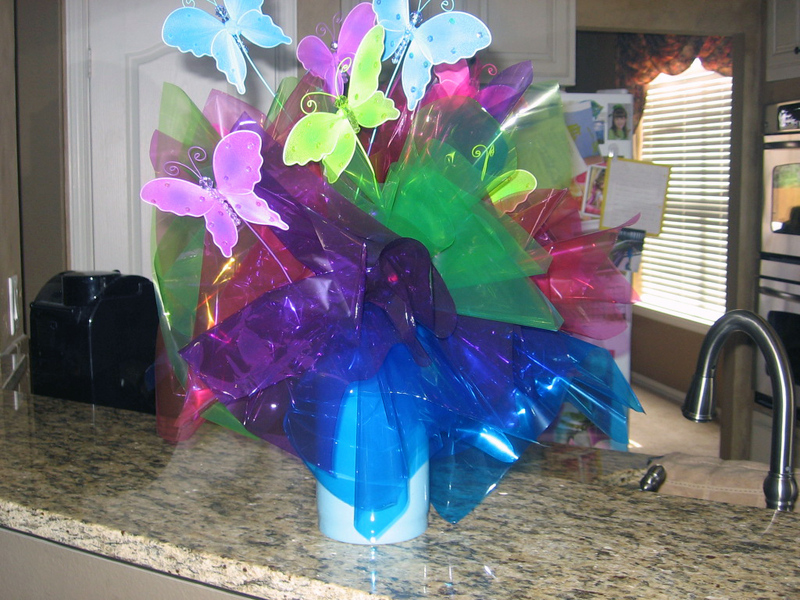 The lovely centerpiece that Carol and her mother made out of the materials I purchased from PJ’s Party Supply. The cake table featuring a rainbow magic fairy cake made out of sparkly fondant (the inside was rainbow colored cake!). 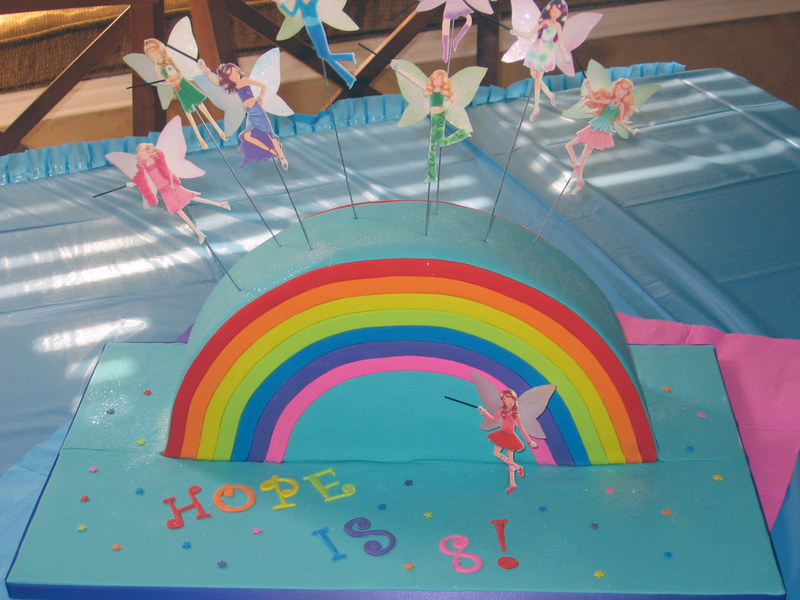 Sticking out of the top of the cake are the fairies from the Rainbow Magic Fairy books (that’s where the theme came from). Stay tuned for information and photos about my next gig!